How to Avoid A Negative Dilute Test? What happens if my drug test result is a negative dilute? When your drug test result comes back as negative dilute, your employer may ask you to go in for another drug in accordance with their Drug Free Workplace Policy. This will certainly be inconvenient for you. How do I avoid a Negative Dilute Drug Test Result? Essentially, when your urine specimen result for a drug test comes back as dilute, you have consumed too much water in advance of the test. Individuals should be cautious not to over consume fluids prior to a drug test. In general, an extra glass of water is about all you need. Drinking too much fluids will more than likely end up with a dilute specimen result. A positive dilute drug test result is always classified as a positive result. However, when an individual has a negative dilute drug test result, many employers will require you to go back for another drug test typically within 24 hours of receiving the negative dilute result. Dilution is caused by adding fluid to the sample also known as adulteration or by drinking large amounts of fluids which may dilute the specimen. 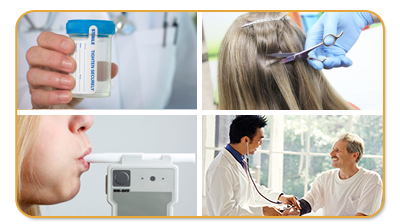 Adding fluids to your specimen to influence the results of the test and generally is an indicator that an individual is trying to cheat the drug test. What makes a specimen dilute? A dilute specimen is defined as a urine specimen that has a creatine level of greater than 5 mg/dl or less than 20 g/dl and a specific gravity is less than 1.0010 (or greater than 1.0200). These 2 integrity variable tests are routinely performed on every urine sample that is analyzed at one of our SAMHSA Certified Labs. If a specimen meets the above 2 criteria, the lab will report the result as a “Dilute specimen”. When a urine sample is reported as “Dilute” it is possible that drugs in their system may not be detected. Don’t be alarmed if your employer informs you that your drug test result is a negative dilute result. A negative dilute result should never be a reason for you to be terminated or not get the job. If this does happen, call an attorney. Individuals should never be fired because they consume a lot of water, but you do need to be able to produce normal human urine with the appropriate creatinine and specific gravity levels. Failure to provide a valid sample many times may cause suspicion. If you attempt to adulterate your specimen by adding fluids to your urine specimen, this should never be done and could be grounds for termination of employment or perhaps not getting the job. In most cases, it is best if you go for the drug test first thing in the morning. Drinking some coffee and a glass of water should suffice and try and remember to not overconsume water or other fluids. How Can I Avoid A Dilute Specimen Result? Follow these simple guidelines as a participant providing a urine sample to avoid a dilute urine specimen result. Avoid all diuretics—including caffeine—the day of the drug test until AFTER the collection is done. Go to the collection site while the first morning urine is still in your bladder to use this as the specimen. If this is NOT possible than you should empty your bladder approximately 2 hours prior to your planned arrival at the collection site. During that time, you should NOT consume more than 24 oz. of fluid and the fluid you do consume should be a substantial fluid—milk, smoothie, tomato juice—and/or you eat a protein high meal or snack—egg, cheese, meat. By following these guidelines, you will help to avoid dilute and abnormal urine and ensure that the result of your test provides a valid indicator that you are drug free. EXPRESS SCHEDULINGLocal How To Avoid A Negative Dilute Test?